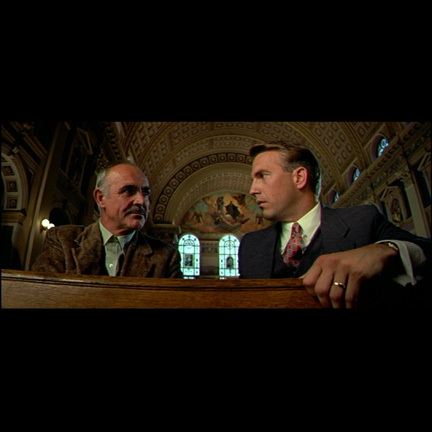 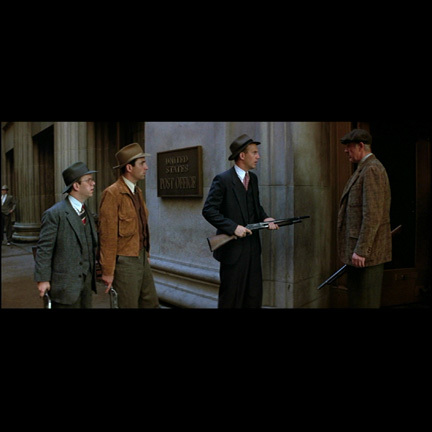 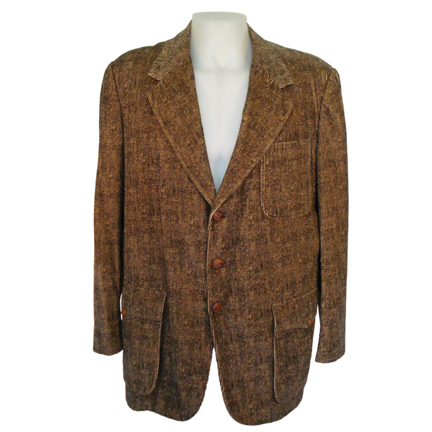 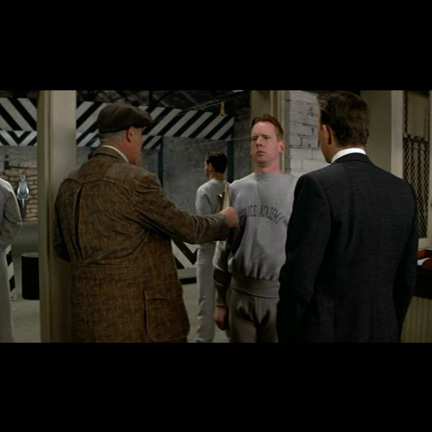 This brown Norfolk sports coat was worn by the character Jim Malone portrayed by actor Sean Connery in the 1987 gangster epic The Untouchables, which also starred Robert Deniro and Kevin Costner. 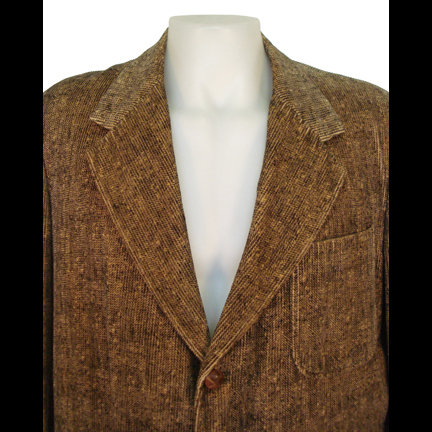 The sport coat was custom made for Mr. Connery and is constructed of a brown, gold, and black wool tweed material. 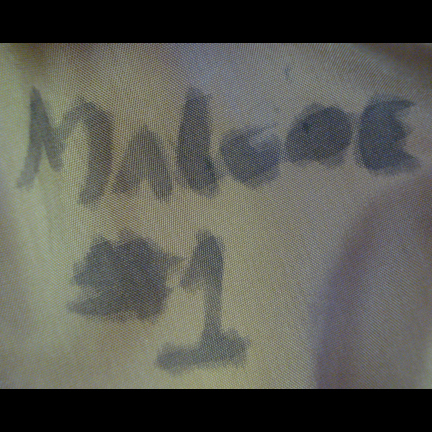 The name MALONE #1 is hand written into the right shoulder, and #1 into the collar. 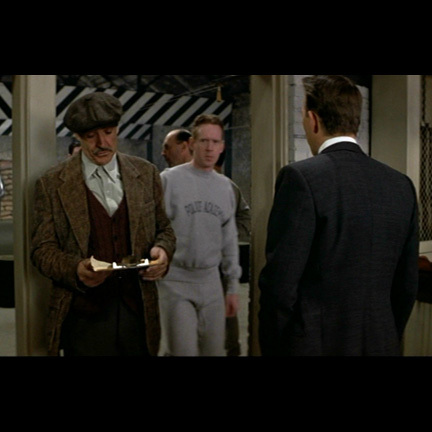 The coat appears extensively throughout the film and was one of Mr. Connery's primary wardrobe items. 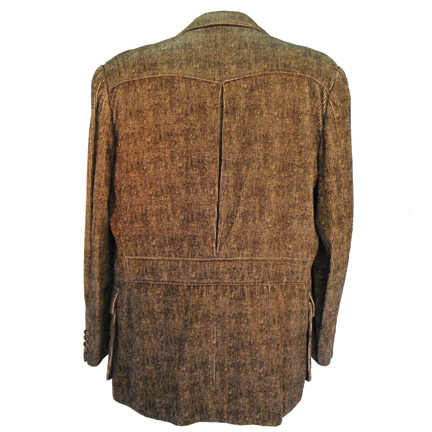 This screen worn artifacts was acquired directly from Paramount Studios and is accompanied by a certificate of authenticity from the costume house.